Hajer Sharief (23) is awarded the Student Peace Prize of 2017, which was announced on september 29th. This young law student witnessed the bombings and the civil war in Libya in 2011 closely, and has since that time been an active contributer to including women in peacebuiling processes. Despite her young age, Hajer Sharief has built up her own organization in Libya, and she is working together with both Kofi Annan and the UN. Through witnessing the horrible situation in Libya, Sharief was inspired to start up the civil society network Together We Build It. By gathering different groups of people to dialogue in a highly unstable country, the Student Peace Prize winner has worked her way from organizations at ground level in Libya to becoming an important participant in the international political environment. Sharief is currently working with implementing UN´s Security Council resolutions 1325 – Women, Peace and Security and 2250 – Youths, Peace and Security. Her work is highly significant in Libya. 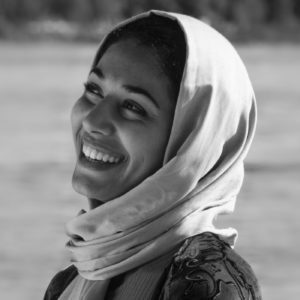 Hajer Sharief was this fall, by UN´s Secretary General Ban Ki-Moon, appointed to work in the expert group for further development of resolution 2250. She is also a part of the network Extremely Together, supported by the Kofi Annan Foundation, where she together with nine other participants tries to find positive prevention measures against violent extremism among young people in the world. Hajer Sharief is a glowing example that youth is not only tomorrows leaders, but are also capable of taking leadership today. She symbolizes hope to the Libyan people in a situation that is otherwise hopeless. Congratulations to Hajer Sharief as the next winner of the Student Peace Prize, on behalf of all Norwegian students.